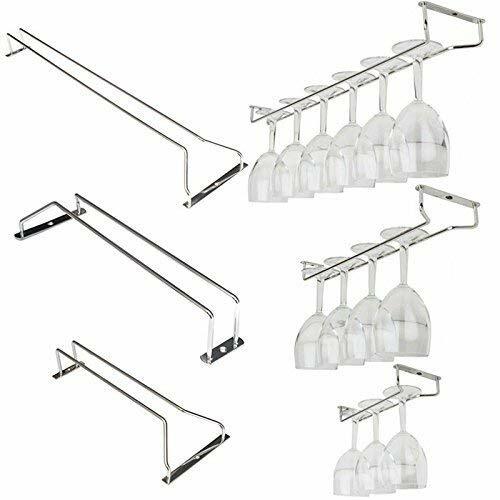 Functinal & elegant: Made of polished chrome this stemware rack adds a touch of elegance to your kitchen or bar's décor. 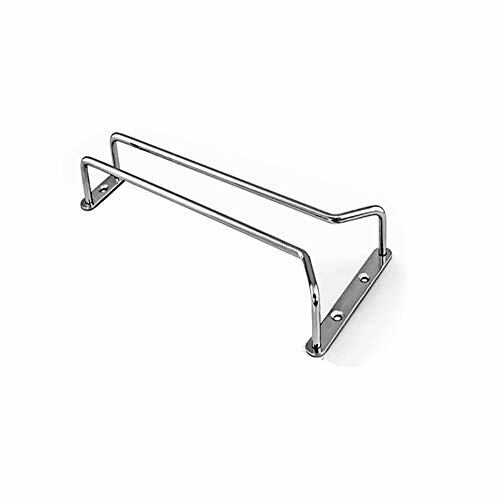 With durable construction, the rack is easy to clean and will last a lifetime. Your stemware will accent your existing cabinetry in this convenient storage unit. 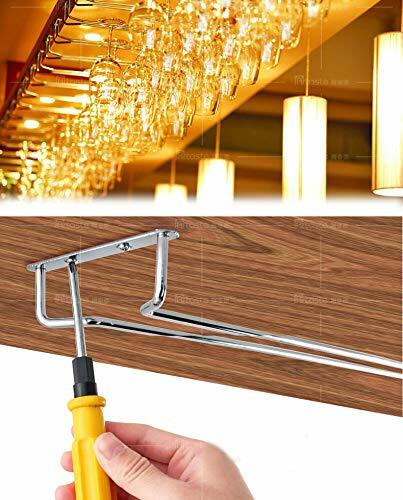 Easy to Put to Work: These stemware racks come fully assembled and ready to use. The mounting hardware is included in the packaging for convenient installation. 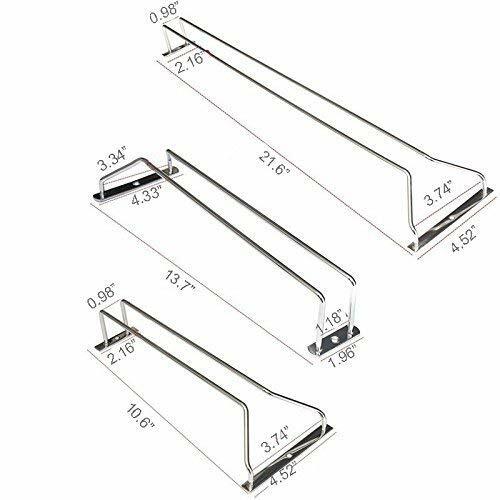 Well-Constructed: Made with marvelous workmanship this stem rack looks solid and sturdy with practical hanging options. To utilize the space under your kitchen cabinetry efficiently . 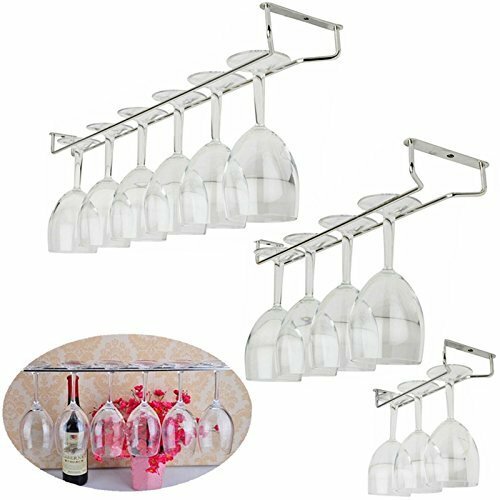 Flexible to accommodate:the large one holds up to 6 glasses, the middle onecan hold up 4bottles and the small one can hold up 3bottles. 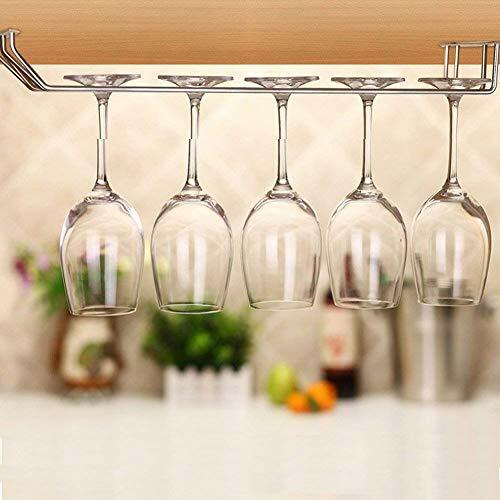 the can choose how many rows installed in accordance with the cabinet, regardless of the number of cups, wine racks are independent. Blends Perfectly: The configurable design is built to blend in with all kitchen set-ups. 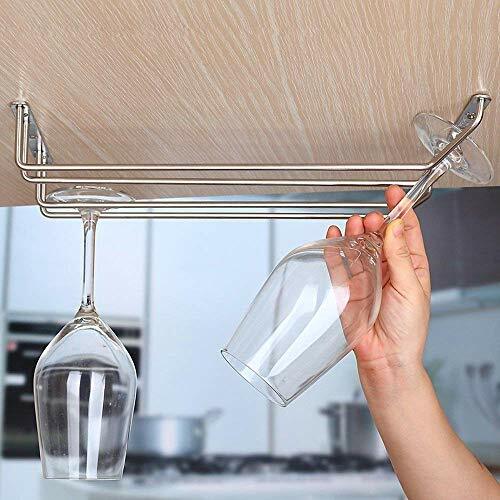 Make it fit your best needs and organize your stemware with ease. 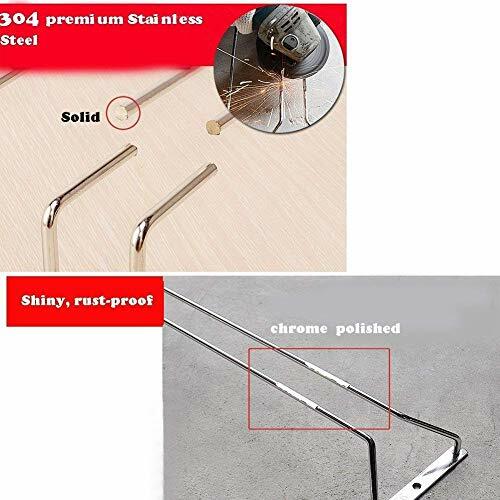 You can use the polished chrome finish with your contemporary, modern, industrial, rustic or farmhouse chic décor. If you have any questions about this product by Velidy, contact us by completing and submitting the form below. If you are looking for a specif part number, please include it with your message.